Littlest Pet Shop Getting Glamorous Pet Styling Pack Only $9.48 + FREE Prime Shipping (Reg. $22)! You are here: Home / Great Deals / Amazon Deals / Littlest Pet Shop Getting Glamorous Pet Styling Pack Only $9.48 + FREE Prime Shipping (Reg. $22)! 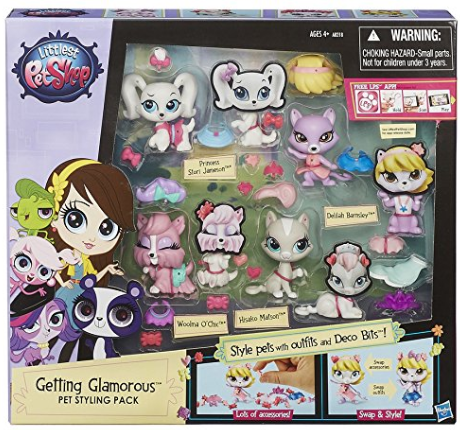 If your little one love Littlest Pet Shop like mine does, then she is sure to love this Littlest Pet Shop Getting Glamorous Pet Styling Pack, marked down to only $9.48 (Reg. $22)!